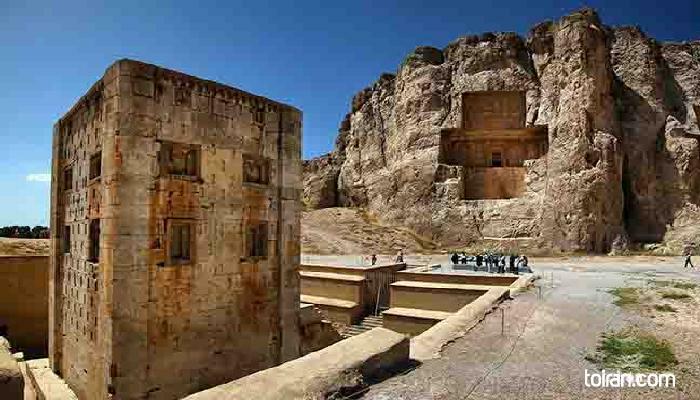 The Cube of Zoroaster is located 3-4 kilometers from Persepolis in Fars Province at Naqsh-e Rostam. The walls of this ancient Achaemenid era (550-330 BC) structure are marked with inscriptions cataloging Sassanid (224 -651 CE) victories. 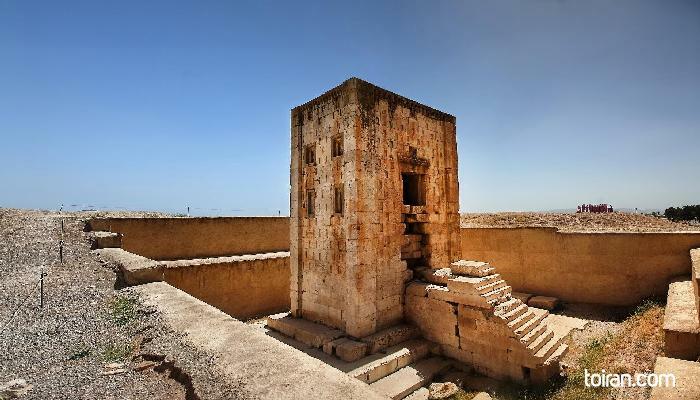 The purpose of this tower is not known, but it has been proposed that it was either a royal tomb or a depository for objects of dynastic or religious importance. Amazing site, you feel small comparing to the monuments carved in the mountains surrounding you here. Lots of history here, there are signs and descriptions at the site below each monument and you can also hire a local guide for about 15 USD to explain the history behind this amazing site.